For our second episode in the series about director Hideo Gosha, we stay in samurai territory, watching the of shape his often intense, downbeat, dirty, grimey voice even more. 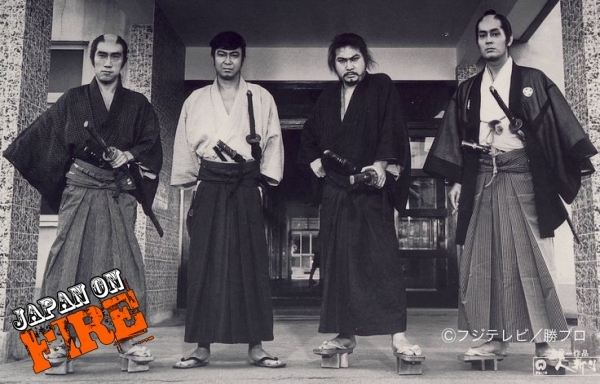 With focus on 1969’s Hitokiri, we also track progress via quick reviews of the works in the wake of his debut Three Outlaw Samurai covered last episode. 21m 29s – Sword Of The Beast & Goyokin quick-takes. 46m 22s – Shintaro Katsu biography biography/discussion. 60m 55s – Hitokiri review. 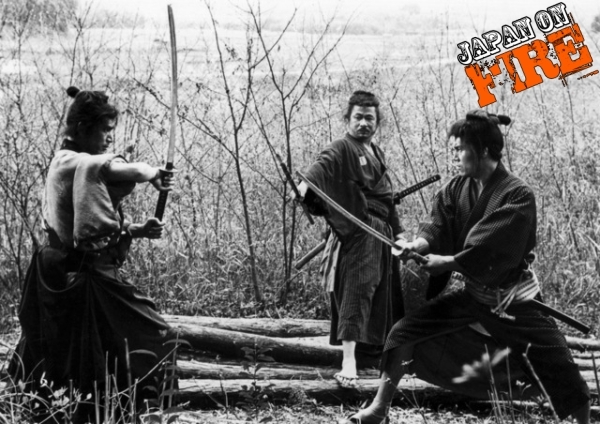 Hideo Gosha saw samurai cinema and cinema in general and its world in a more dirty, gritty and cynical way, starting with 1964’s Three Outlaw Samurai. Kenny B and VCinema’s Coffin Jon start a new Japan On Fire director’s series in bloody, black and white-fashion. 18m 47s – Samurai Wolf 1 and 2 quick-takes.